To minimize pollution from polythene, the state government is starting projects to produce energy from plastic waste. Himachal Chief Minister, while starting week-long ‘Polythene Hatao, Paryavaran Bachao Campaign’ said that one such plant has been established at Shimla and two more plants were being established at Kullu and Baddi. ‘Polythene Hatao, Paryavaran Bachao Campaign’is started by the Environment, Science and Technology Department today, in which various schools of Shimla, volunteers, representatives of NGOs, jawans of Home Guard and Fire Services participated. 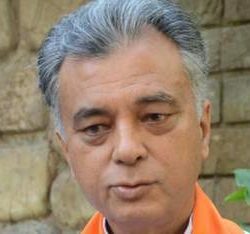 Thakur said the plastic being a non-biodegradable waste was a biggest health hazard for humans and animals, besides causing environmental degradation. 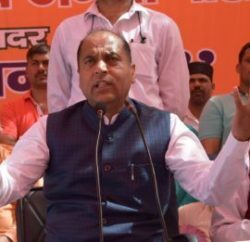 Jai Ram Thakur said the then BJP Government way back on 2nd October, 2009 has banned use of plastic bags in the State, by but still many products such as milk, chips, bread etc. come in plastic packing, thus making it essential to launch special campaigns regularly to save our environment from this menace. The Chief Minister said that polythene not only is a health hazard but it also pollute, soil, water and air. Thus, it becomes duty of every citizen to come forward to check this vice to save our mother earth and our very existence, said he. He added that the tourists visiting the State must also be sensitized about the ill effects of plastic and must be persuade to use jute or paper bags instead of polythene bags. He also urged the Mahila Mandals, Yuvak Mandals and other NGOs to launch special campaigns to collect polythene and ensure its proper disposal in their respective areas. Chief Minister also administrated Oath for ‘Environment Conservation’ on the occasion. He flagged off eleven batches of volunteers for eleven different routes, covering almost all the areas of the city for collecting polythene waste. Director Environment, Science and Technology D.C Rana while welcoming the Chief Minister said that the students and other volunteers would gather plastic waste from the respective areas allotted to them and the same would be collected by the Municipal Corporation workers for scientific dispose of this waste.